Join RIGS staff on this one week “Prime Time” Trip! Just one week before the annual Club Permit Tournament, with the perfect lunar cycle. We are lucky to have secured it and it will book up quick! Space is limited to 12 Guests and everything (minus airfare, gear and gratuity) is included. 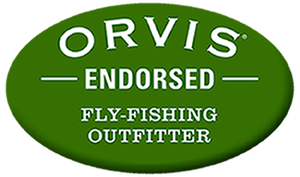 *PLUS – we will personally assist you in getting properly outfitted with the appropriate gear/flies/etc. necessary to successfully hook up on Permit, Bonefish, Tarpoon, Snook and more. What do you get out of The Palometa Club? Low Guide to Client Ratio – Each guide has a maximum of 1 client, this gives you individual time with your guide to improve your technique and get the most out of your trip. Access to Premier Permit Fishing – Plus, opportunities for bonefish, tarpon, snook, barracuda, jack crevalle and more. Consider Travel Insurance – Given the inherent strict refund policies associated with nearly all fishing packages, we cannot stress the importance of obtaining travel insurance to protect your investment. Travelers can obtain coverage for pre-existing health problems (related to yourself, your family, business partners, or your traveling partners), emergency evacuation, lost baggage, delay, life insurance packages; even “no questions asked” or “for work reasons” coverage. Punta Allen, Mexico is located approximately three hours drive south of the international airport in Cancun. It is a quiet lobster fishing village south of the “Mayan Riviera” on a narrow peninsula at the north eastern point of the world famous Ascension Bay. The pavement ends in Tulum, and with it so does the hustle, crowds, and resort development in the hotel zone. This is the authentic, ecologically rich Yucatan Peninsula with dense tropical jungle and 1.3 million acres of the Sian Kaan Biosphere Reserve, a World Heritage Site, and genuine old Mayan Mexico. It is a safe little corner of the Yucatan that is remote enough to remain pristine, but easily reachable in a half day with direct flights to Cancun from many U.S. portals including Dallas, Houston and Miami. Palometa Club has established it’s name with Permit located on Ascension Bay. Over the last five years it has become one of the most respected permit focused lodges in the world. It is tailor made for anglers in search of a specialized fishing trip targeting the most elusive and glorified of all saltwater species – the permit. Of course they don’t neglect the other species of Ascension Bay that make the fishery so diverse; however as the name implies, Palometa(Spanish word for Permit) Club, has built a program that caters to dedicated permit enthusiasts. It is an American owned and operated establishment and the definition of a “mom and pop” operation with tremendous hospitality, comfortable accommodations, and a crew of revved up guides chomping at the bit to go chase the mighty palometa. Unlike a travel agent, as a host, we have already scrutinized the alternatives, experienced the lodge, fished its waters and are well versed in the experience. It is not the job of the host to be your guide (leave that to the local pros), but a trusted voice and travel liaison for our past, current and future guests. We help with the whole process; from recommendations and advise with travel plans, to getting you properly outfitted with the appropriate Fly Fishing Gear for your destination. We help ensure your fly fishing destination experience will be seamless experience and a huge success. RIGS is committed to exploring the world’s top rated fly fishing destinations. Countless years of exploration and passion are the results of our refined offerings – RIGS partners with only premium Fly Fishing Travel Companies like Tailwaters Travels to insure we don’t “recreate the wheel”, but offer our guests Top Rated, industry renowned destinations with quality guides & amenities.